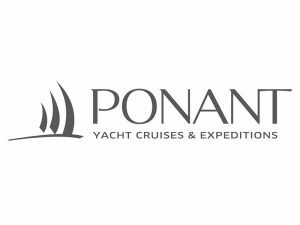 Time: 1700 meet, Cast off at 1730-2000 – don’t be late! 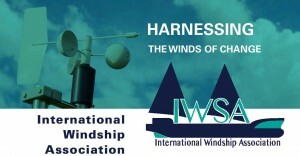 RINA and International Windship Association (IWSA) invite papers from designers, class societies, operators, researchers, and builders on all related topics. 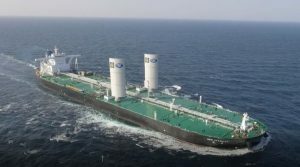 Ship classification society DNV GL has issued a type approval design certificate for Norsepower’s auxiliary wind propulsion system Rotor Sail Solution. We would like to warmly welcome aboard our latest IWSA members and registered supporters. We are looking forward to working together to further develop wind propulsion solutions for commercial shipping. 08 February – NEW IWSA Brochure – the deadline for advert reservations for the New IWSA brochure is approaching. 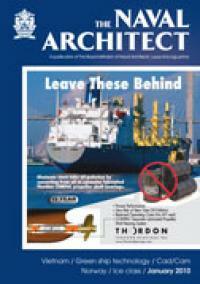 We would like to get all of the reservations concluded by 21 February for the first print run/pdf. This brochure will be used at all IWSA events, provided at third party events, such as the conferences we support each year (initial print run of approx. 2000 copies) and the electronic version will be used throughout this period, and we expect that to more than double the audience. 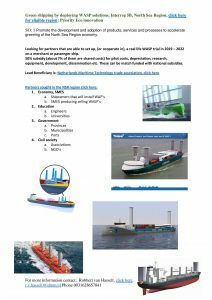 If you are interested in placing an advert in the brochure or having inserts, please contact secretary@wind-ship.org for availability, pricing and specs. 03 February – Green4Sea AWARDS – Shortlisted – Delighted to announce that IWSA has been shortlisted for the prestigous Green4Sea Awards – Initiative of the Year. 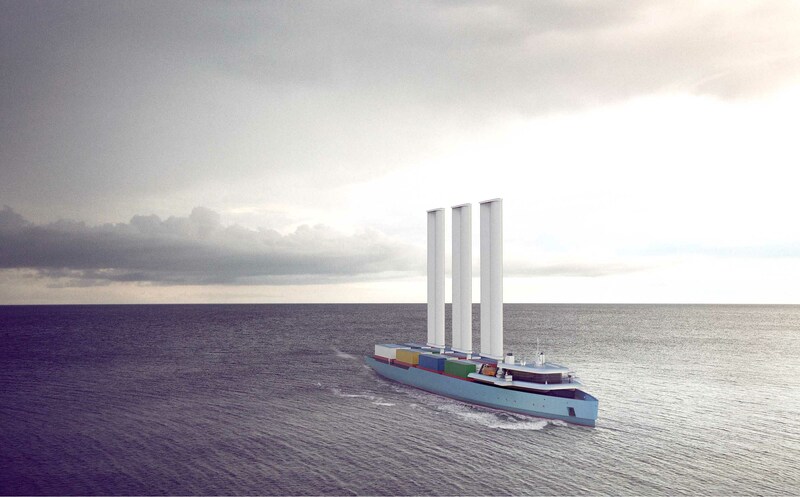 If you support the development of wind propulsion in shipping, then please vote for us!!! 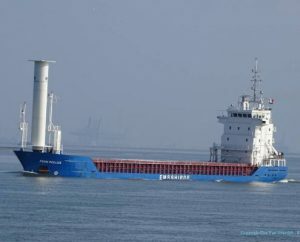 23 January – Article: The Answer is Blowin’ in the Wind – good round up of some of the recent wind propulsion developments and announcments – much more to come, keep tuned! 01 January – Happy New Year – Festive greetings to all of our members, associates, registered supporters and wider network. 2018 has been an important year for commercial wind propulsion and we are looking forward to a landmark 2019. Many projects and technologies are now entering the pre-market stage and seatrials are progressing well. There will be a raft of announcements in the Spring and and we are eagerly awaiting those. 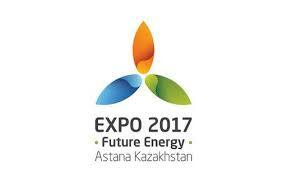 New alliances and collaborations are being formed and the event horizon is very interesting. I hope you will be able to join us at our many events, including the Canada/US tour from 25 March – 11 April (more details coming). North Sea Region – Interreg Sail Project – conclusions restated, recent developments and pathways forward. New Members: A warm welcome to the new IWSA members and registered supporters – Welcome Aboard!!! 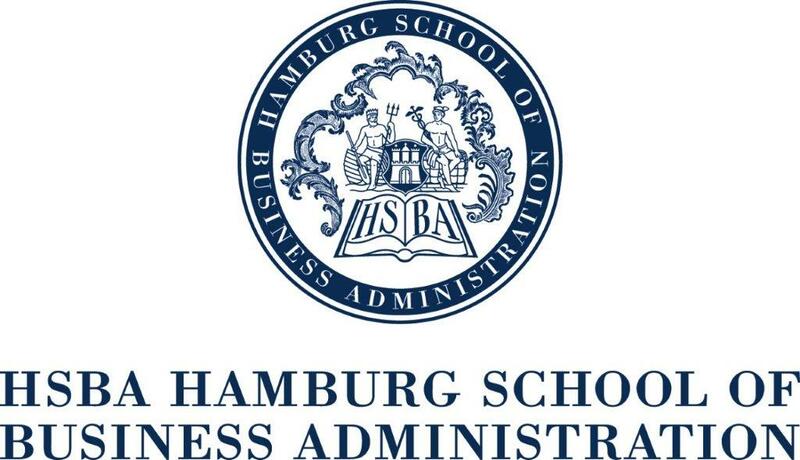 Schinas, O., Grau, C., Johns, M. (Eds) The HSBA Handbook on Ship Finance. Springer Verlag, ISBN: 978-3-662-43410-9, also available in Chinese. 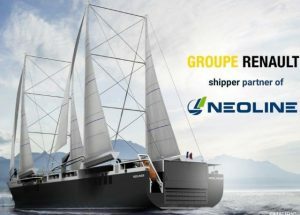 Neoline enters an exciting partnership with the Renault Group to transport Renault cars aboard new build Neoliners on a France-Canada route. 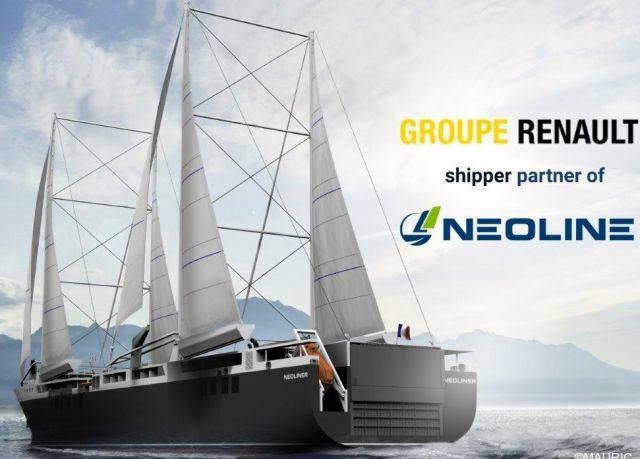 During the recent Assises de la Mer maritime conference, Groupe Renault announced the signing of a 3-year partnership with Nantes start-up Neoline. 22 November – Press Release: eConowind has finished land-testing for its autonomous wind propulsion unit with ‘aspirated wing-profiles’ which act as sails for ships and help them lower emissions. 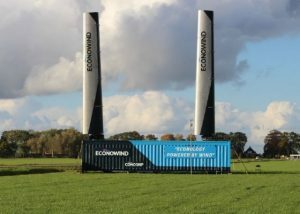 The eConowind foldable unit comprises a 40ft container which deploys two folding out ‘VentiFoils’ that are ridged ‘aspirated wing-profiles’ which act as sails. 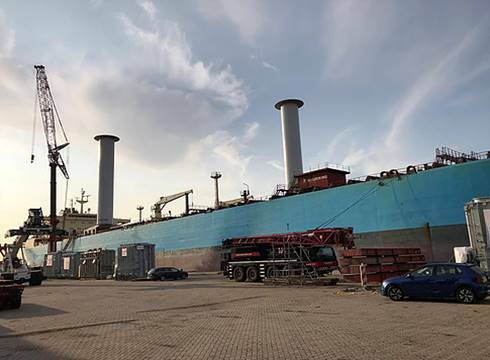 The unit will be mounted on the hatchcovers of Lady Christina of WijnneBarends Delfzijl for testing in the North Sea and Baltic Sea and measurement of the generated thrust. 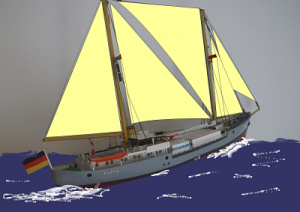 A £100,000 12-month feasibility study funded by InnovateUK, the Institution of Mechanical Engineers (IMechE) and private investors has begun to examine the potential of fitting sail technology onto Ultrabulk ships that import biomass into the UK to cut carbon emissions. 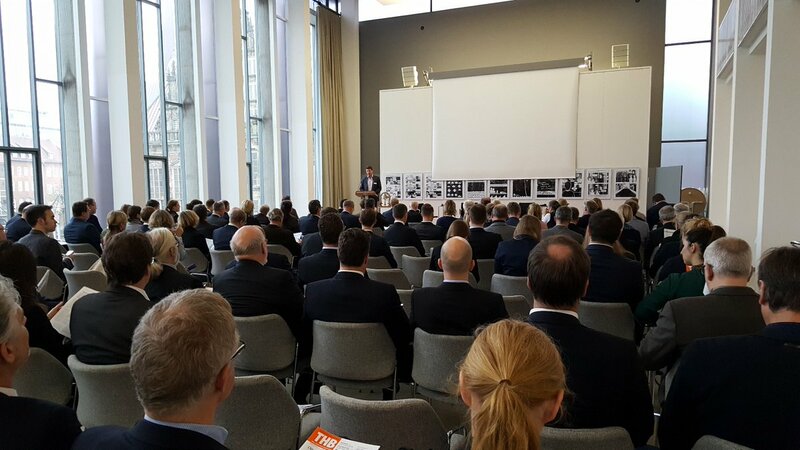 20-21 November – Thank you to all the participants and the warm welcome at the Renewable Energy Network 21 Academy in Berlin, IWSA looks forward to continuing to help build our relationship and working together to develop renewable energy throughout the global supply chain. We were delighted to be invited to the Brussels launch of the Energy Transitions Commision’s report – Mission Possible: Reaching net-zero carbon emissions from harder-to-abate sectors by mid-century. 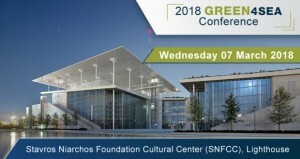 The report from this high level industry group outlines the possible routes to fully decarbonize cement, steel, plastics, trucking, shipping and aviation – which together represent 30% of energy emissions today and could increase to 60% by mid-century as other sectors lower their emissions. IWSA contributed a significant amount of information to the commission and we are pleased to see that material was taken into account in the full report. 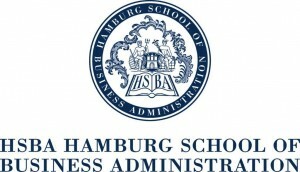 Thanks to all the participants at the very sucessful events in Hamburg. 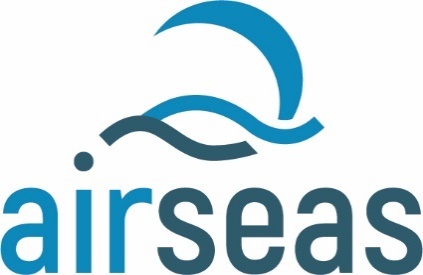 We are moving ahead with the development of IWSA’s second regional wind propulsion hub, IWSA Europe – North Sea & Baltic and we are looking forward to working further with the group. 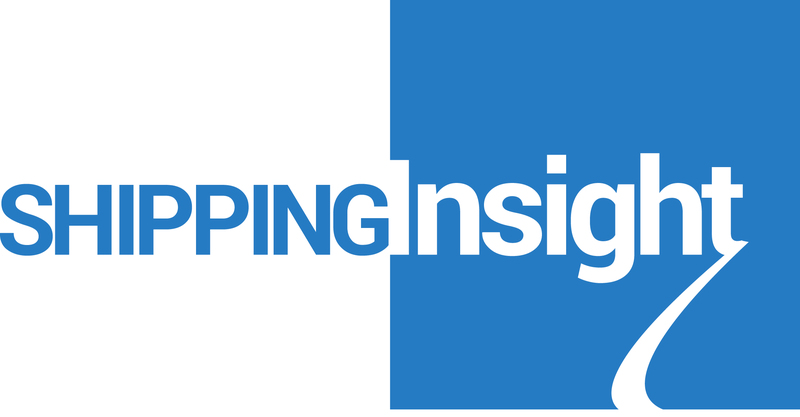 The next steps will be a full stakeholder analysis, developing a number of key focal projects and organising a stakeholder engagment conference in 2019. 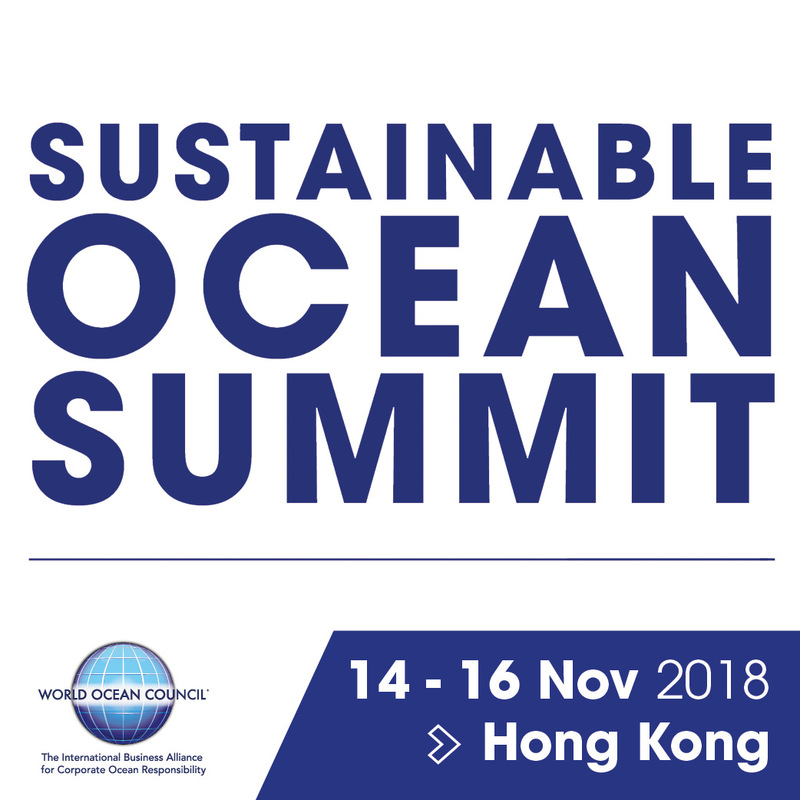 14-16 November – 6th Sustainable Ocean Summit – New World Millennium Hong Kong Hotel, 72 Mody Road, Tsim Sha Tsui East, Kowloon, Hong Kong To register for the event click here. 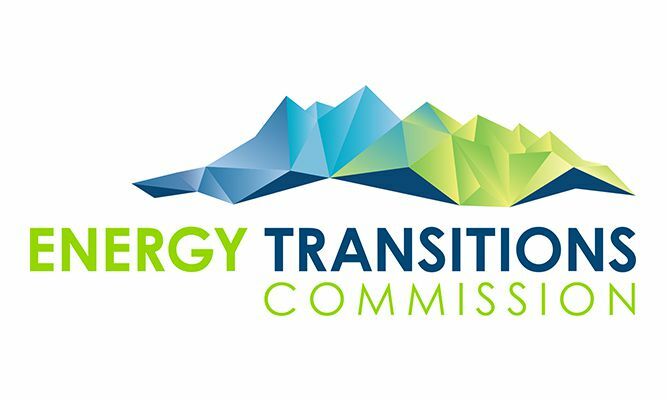 On 8-10 November, Pacific transport leaders meet in Suva to talanoa the immediate need to set clear decarbonisation routes for this sector at the international, regional and national level. 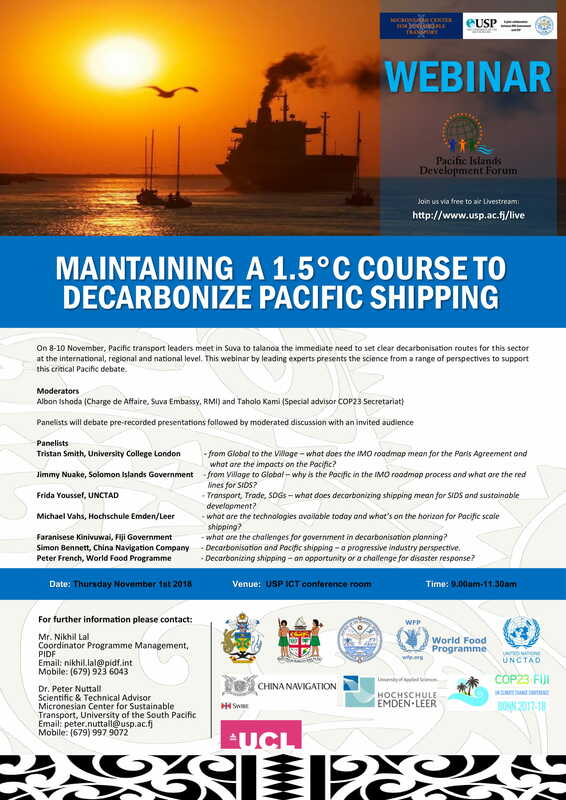 This webinar by leading experts presents the science from a range of perspectives to support this critical Pacific debate. Tristan Smith, University College London – from Global to the Village – what does the IMO roadmap mean for the Paris Agreement and what are the impacts on the Pacific? 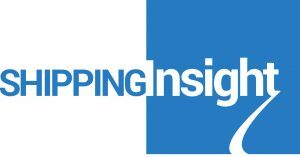 Jimmy Nuake, Solomon Islands Government – from Village to Global – why is the Pacific in the IMO roadmap process and what are the red lines for SIDS? 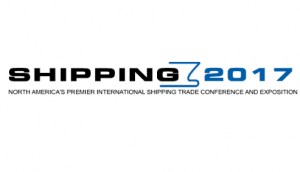 Frida Youssef, UNCTAD – Transport, Trade, SDGs – what does decarbonizing shipping mean for SIDS and sustainable development? 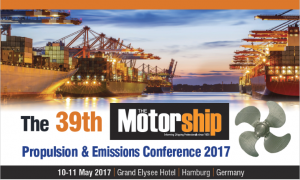 Michael Vahs, Hochschule Emden/Leer – what are the technologies available today and what’s on the horizon for Pacific scale shipping? Faranisese Kinivuwai, Fiji Government – what are the challenges for government in decarbonisation planning? Peter French, World Food Programme – Decarbonizing shipping – an opportunity or a challenge for disaster response? 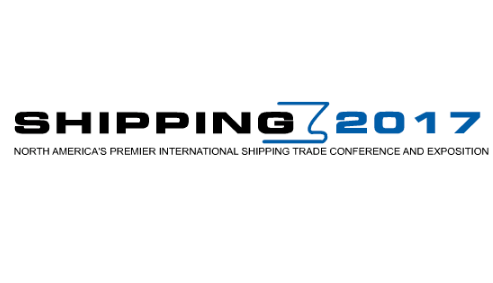 Simon Bennett, China Navigation Company – Decarbonisation and Pacific shipping – a progressive industry perspective. 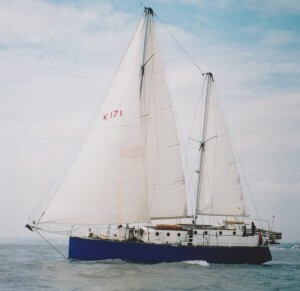 One of the last surviving West Country trading ketches is currently on its way to Bristol, from Portugal with a cargo of wine, olive oil, almonds, chestnuts and salt, all from small producers and cooperatives. The Bessie Ellen is was part of a fleet that once stood at nearly 700 from 1900 to 1930 when working sailing ships were an everyday sight in English ports and harbours. 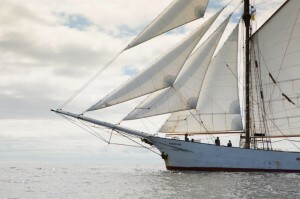 Please join us to welcome the vessel, it’ crew and cargo to Bristol!! 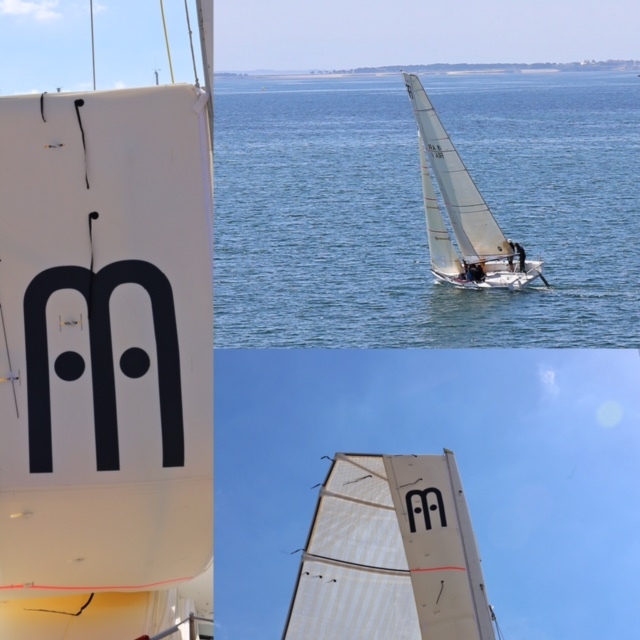 SkySails Yacht GmbH – SkySails Yacht GmbH with headquarters in Hamburg/Germany is the market and technology leader in the field of automated towing kite systems for large yachts and superyachts. 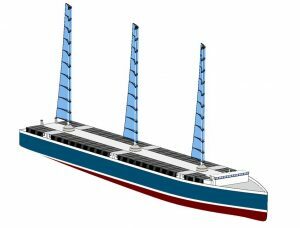 The company draws upon 17 years of experience of its parent company SkySails Group GmbH which is renowned for its innovative towing kite wind propulsion system for cargo vessels. 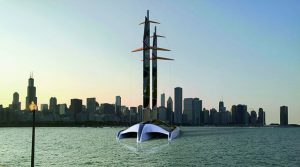 SkySails is the first company in the world that has succeeded to develop kite technology as an industrial application with kites as large as 400m² delivering up to 2,000kW of propulsion power. The SkySails technology is patented worldwide. TU Delft has a new webpage devoted to wind-assist: https://www.tudelft.nl/en/3me/departments/maritime-and-transport-technology/research/ship-hydromechanics/research/wind-assisted-ship-propulsion/. 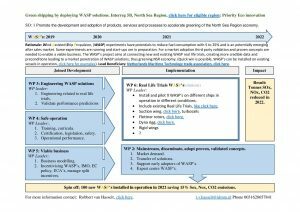 04 October – FINAL CALL for participants for the EU Interreg Proposal Call for Wind-Assisted Ship Propulsion (WASP). 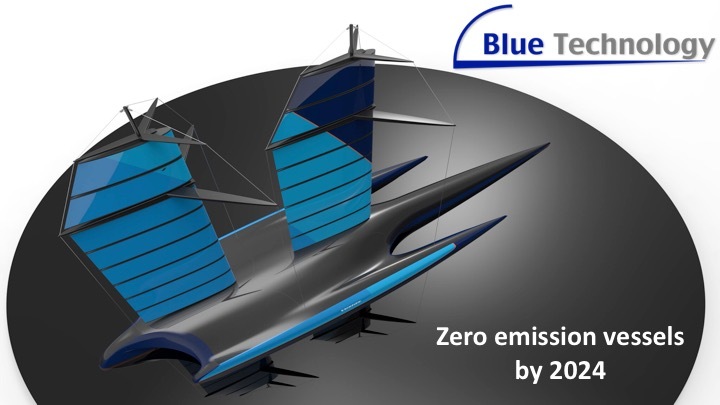 This 3-year EU subsidized project will bring a number of wind propulsion technologies to live trials, monitoring and evaluating performance and developing pathways to further uptake. 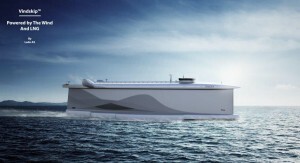 Currently there is room for additional ship owners interested to trial the technologies on their vessels. A call for papers will follow soon. 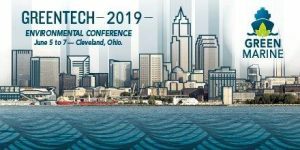 Many thanks to all of the IWSA members that had booths at SMM 2018 and those that visited. 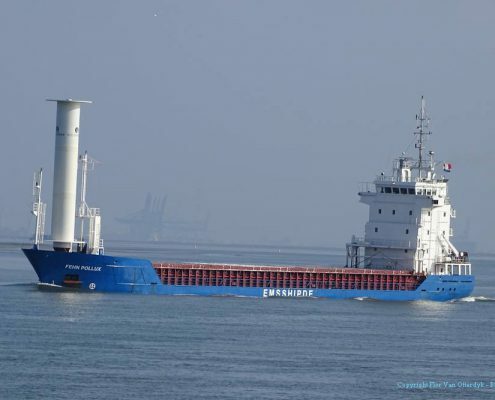 There has been a surge of interest in wind propulsion technologies in general and of course in the developments in the Flettner rotor technology, where we now have 6 vessels at sea with 14 rotors in operation – bulker, tanker, roro, ferry/cruise and general cargo segments. SMM2020 will be an important event, and IWSA and it’s members are already planning our activities for two years time – see you there!!!. 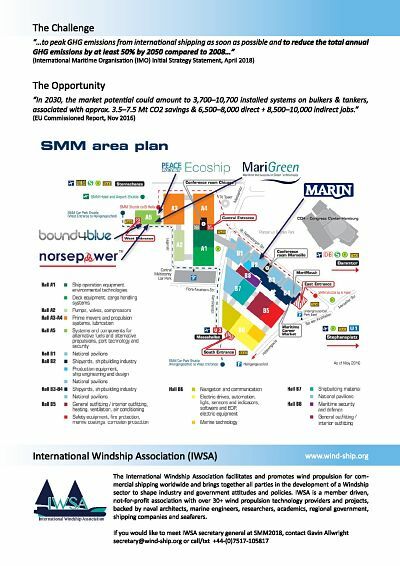 Thank you to all of the visitors to iWSA member booths at SMM last week. The IWSA Secretary met and talked with more than 300 industry visitors and journalists during the 3 days he was there and Gavin was really pleased to find such positive and engaging attitudes to the development of wind propulsion at both the conferences and in the trade show. Congratulations to the Norsepower team on the installation of 2 x 30m Rotorsails on Maersk Tanker’s 109,000dwt MV Pelican, estimated to save 7-10% fuel. 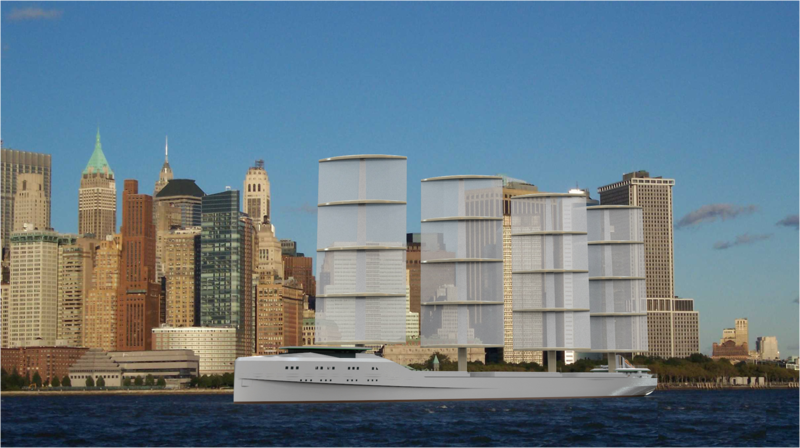 Another stride forward in commercial wind propulsion. 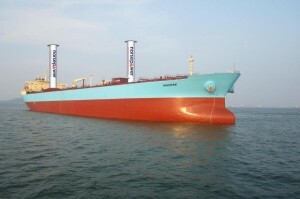 Brings to 6 vessels fitted with rotor rigs covering tanker, bulker, ferry/cruise, RoRo and general cargo segments. 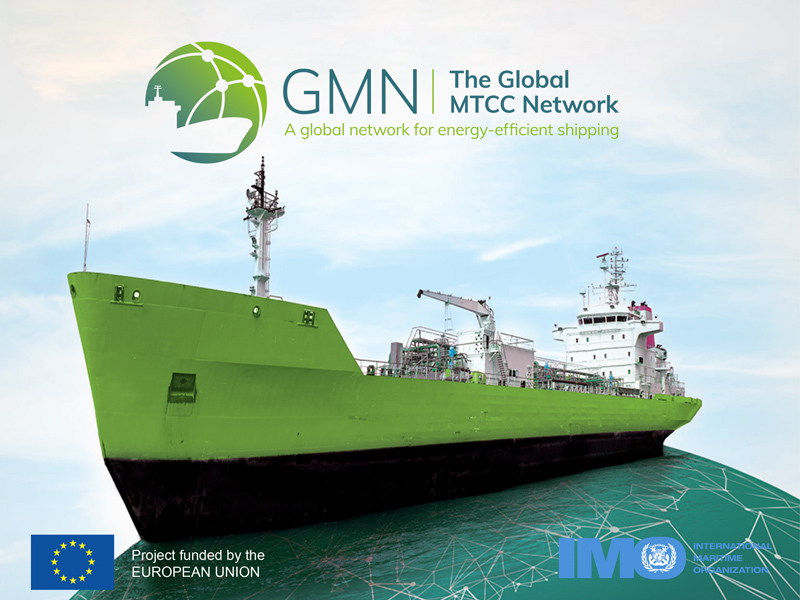 We are delighted to welcome a new set of members and registered supporters and we look forward to working with you to deliver sustainable wind propulsion shipping solutions. The SV Lo Entropy, a purpose built steel sailing cargo vessel with 50 tonne cargo capacity and berths for 12 passengers is undergoing a refit in Hundested, not far from Copenhagen, Denmark and Geoff, the captain is eager to crack on and get the work completed in time for an inaugural voyage through the Baltic and North Sea as early next year as possible. There is still a lot of work to do, and volunteers are welcome over the next couple of months to help move the project forward. 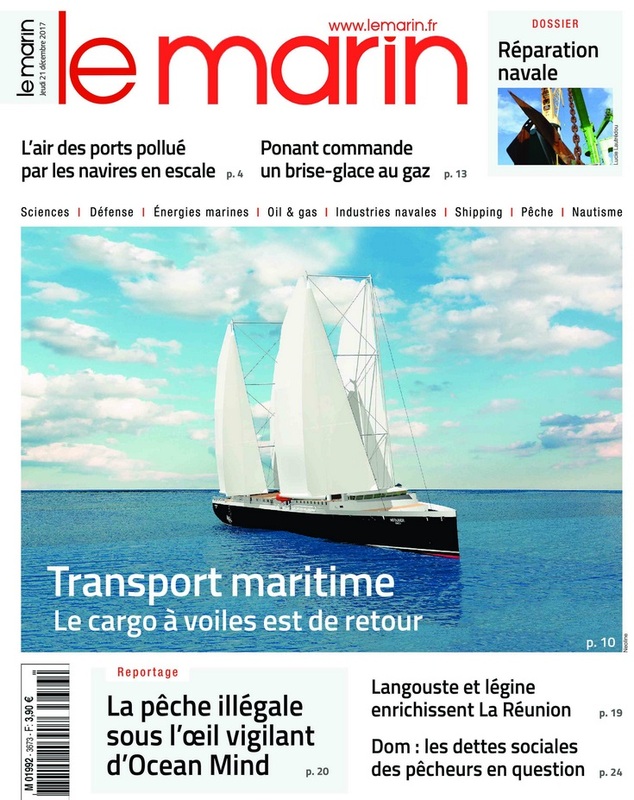 Pays de la Loire Region – IWSA & Ambition Maritime Regionale Strategy Document. 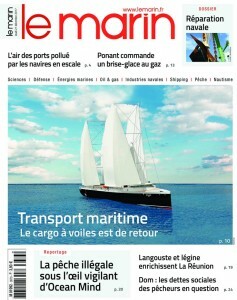 Pays de la Loire region in western France mentioned IWSA within its strategical document for maritime ambition. 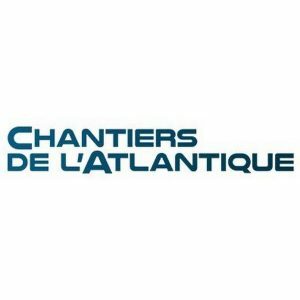 The recently initiated local IWSA Europe Atlantic hub participated in the definition of this document through the Assemblée Régionale Mer et Littoral http://www.paysdelaloire.fr/index.php?id=10358. 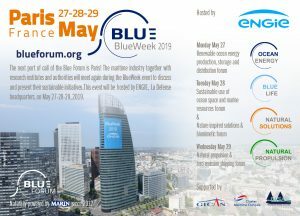 This demonstrates regional ambition to push forward maritime innovation as well as the quick integration of the local IWSA hub within French maritime industry landscape. A network of such IWSA hubs is being developed in several European regions, linking together local stakeholders at a broader scale and we will be extending this network overseas as capacity and resources become available. 21 June – New IWSA Membership & Registered Supporters – IWSA is very pleased to welcome a new set of members and registered supporters. 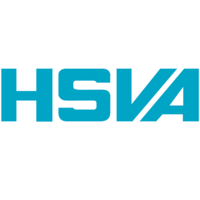 We look forward to working together to bring commercial wind propulsions solutions to the market. 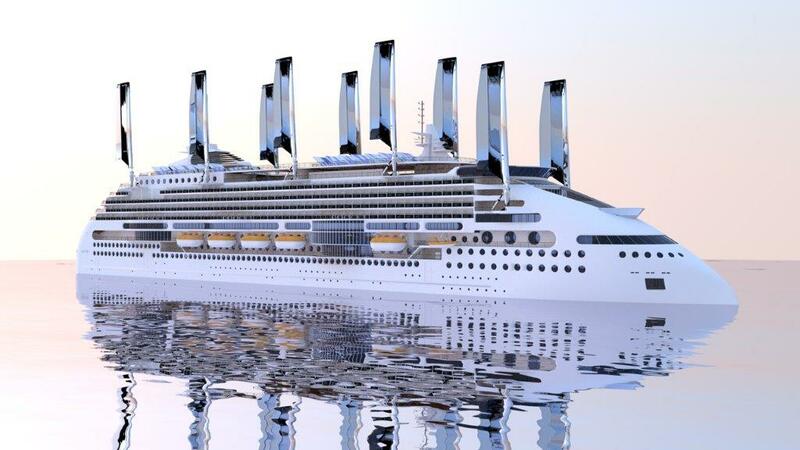 ‘Within the last decade, wind propulsion technologies intended for maritime applications have undergone a period of development and testing that has culminated in a handful of installations on board commercial vessels. Whilst most innovations in shipping follow this path, such progress is unexpected in the case of wind propulsion given the long- standing (and somewhat ironic) tendency to see modern maritime wind propulsion technologies as futurist imaginings: interesting to engineers but with little practical or economic benefit. ” ….the potential importance of wind propulsion as part of the solution for achieving the IMO’s GHG emission goals is underscored by the findings of a number of recent research papers setting out future fuel options for shipping. 05 June – New IWSA Membership & Registered Supporters – IWSA is very pleased to welcome the latest set of members and registered supporters. We look forward to working together to bring commercial wind propulsion to the market. 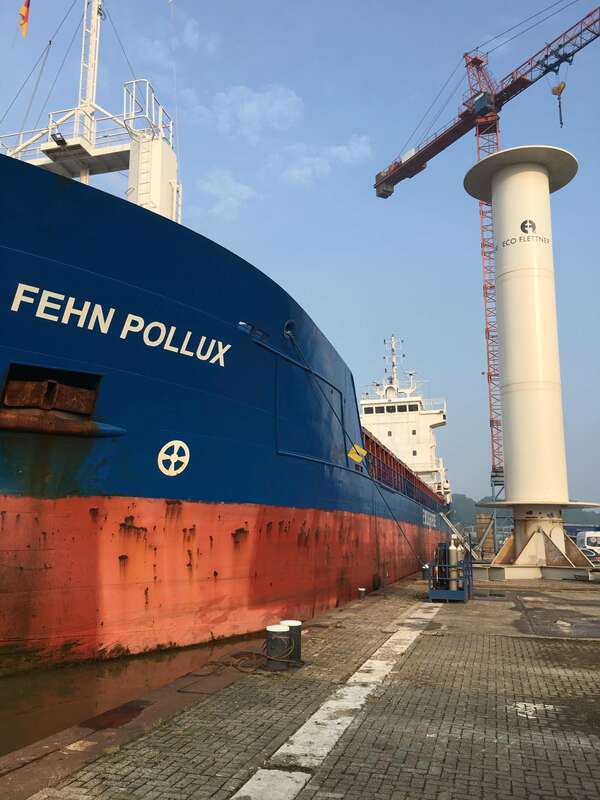 03 June – Congratulatons to the team at EcoFlettner and MARIKO working on the first installation of the EcoFlettner on the 4,200dwt general cargo vessel, MV Fehn Pollux. 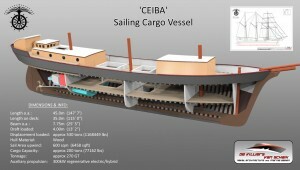 Looking forward to posting more information on the installation and the project progress as she undergoes seatrials. A big thank you to everyone that attended our Annual General Meeting at STC in Rotterdam and the AGM report and minutes will be shared with members and registered supporters by the end of the week. 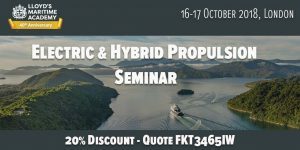 Also a big thank you to all of the presenters (including our members Norsepower, STX France, Wind + Wing, eConowind, Daviesdo Design, TankerProa, VPLP, TU Delft & MARIN) and attendees at the Natural Propulsion Seminar too. Also a big thank you goes out to STC and the City of Rotterdam for hosting the conference as well as the team from MARIN that made everything possible. As always, the NPS and IWSA AGM were a great opportunity to network, catch up with projects and hear about the latest developments and I look forward to next year’s event. 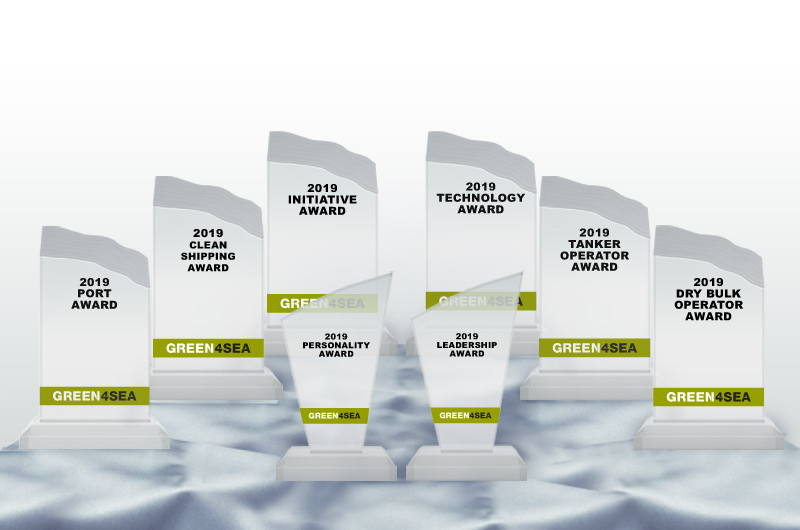 Norsepower Oy Ltd., the leading provider of low-maintenance, software operated, and data verified auxiliary wind propulsion systems, today announced that it is one of just five recipients of the 2018 WWF Climate Solver Nordic Award. The company is the only shipping industry organisation among this year’s five Climate Solver honourees from Nordic countries, who were recognised for their innovative technologies that have the potential to dramatically reduce carbon emissions or increase access to energy around the globe. 12-14 April – Sail Cargo Meeting in Port of Ostende – IWSA working with EU Intereg Dual Ports project Sail Cargo Network and the Sail Cargo Alliance to develop a North Sea region sail cargo support network for small vessels, and lay the groundwork for scaling and replicating the network around Europe. Announcement of New IWSA Members, Associate Members and Registered Supporters. 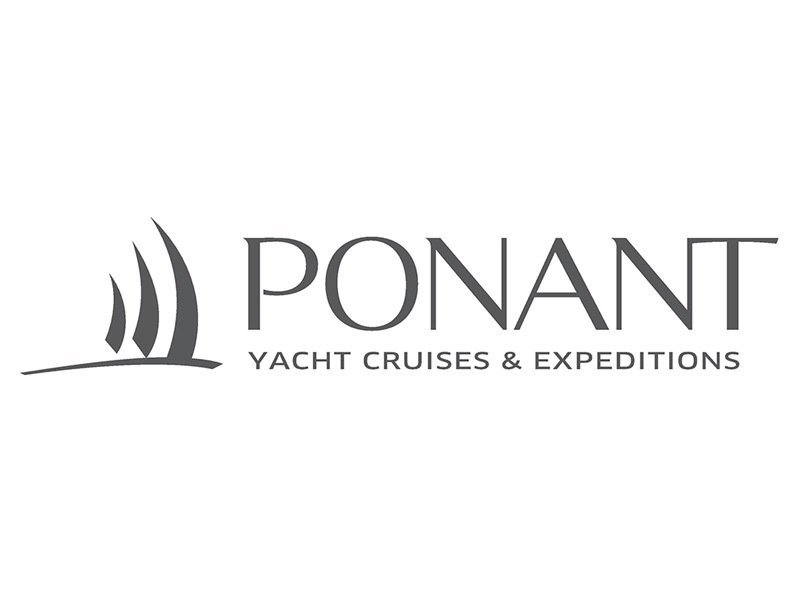 Presentations and panel discussions on wind propulsion and maritime renewable energy throughout this year’s event. 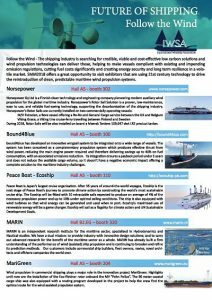 Norsepower, Blue Technology, Smart Green Shipping Alliance, Fair Winds Trust, Propelwind, Wind+Wing and the IWSA Secretary General. The development of sustainable forms of sea transport are vital to the region’s development and also a significant asset for Pacific island nations. 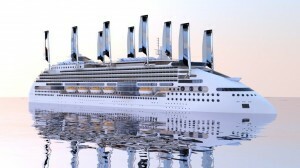 However, emissions from current forms of sea transport are significant in contributing to climate change. 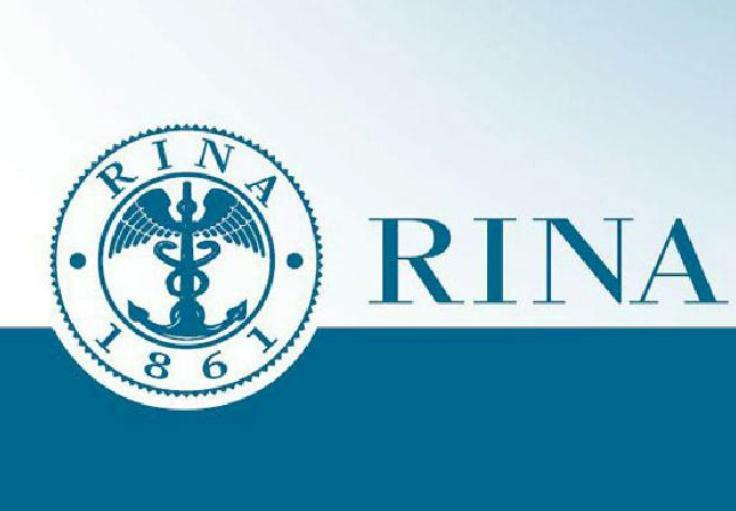 The Micronesian Centre for Sustainable has been established by The University of the South Pacific in partnership with the government of the Republic of the Marshall Islands with the aim undertaking research on forms of sustainable sea transport. 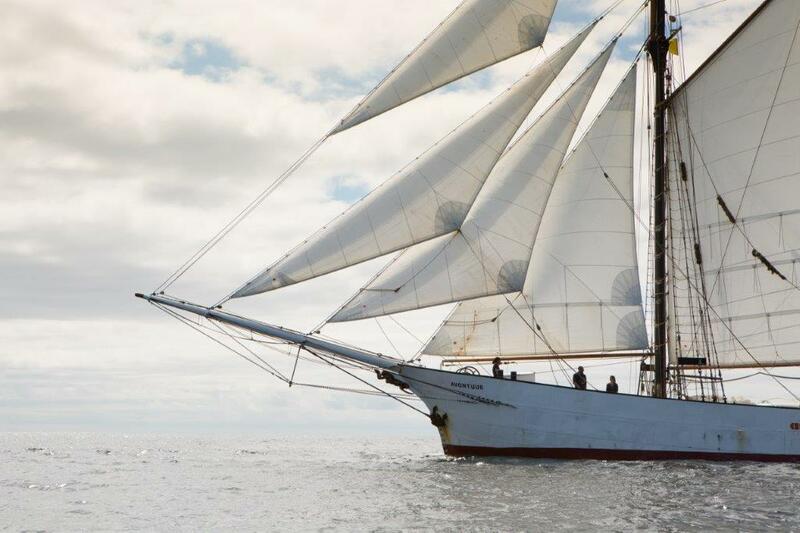 The University of the South Pacific (USP) supported by 12 Pacific Island Countries has a strong commitment to advance marine science, climate change research and Pacific studies. 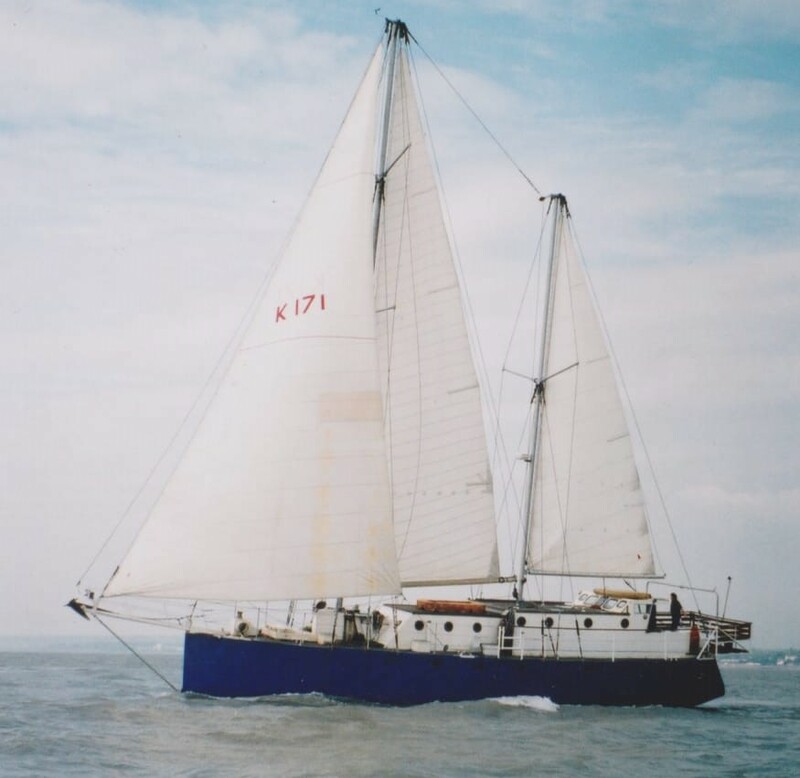 USP have a long record of working together in the ocean field, through several large-scale research and education programmes supported by the European Union and the Research Council of Norway, and through the exchange of researchers and students. 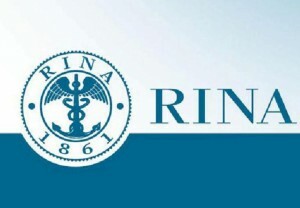 Evidenced experience in independent scientific research leading to successful outcomes. 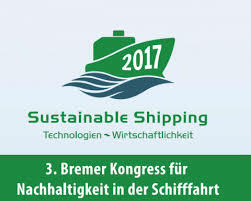 Contact me secretary@wind-ship.org if you are interested to attend, enjoy a glass or two of wine and talk about low carbon, sail cargo operations that are competitive with road transport and by far less environmentally damaging. 06-07 March – Green4Sea Presentation & Awards Ceremony – IWSA Secretary will prsent an overview of wind propulsion developments at the Green4Sea conference in Pireaus, Greece on 7th March followed by a panel discussion on propulsion alternatives for the future. 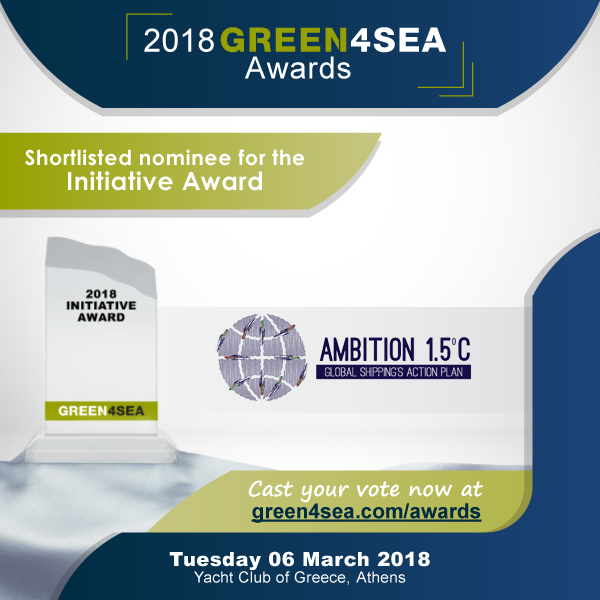 This follows the Award ceremony on 6th March, where the Ambition 1.5C event is shortlisted for the Initiative of the Year Award – thank you all for voting. 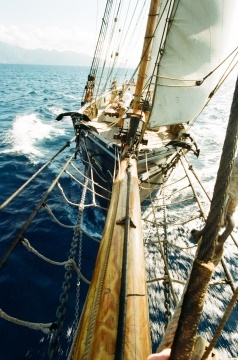 If you have any questions about the event, contact maritime@knect365.com or +44 (0) 20 7017 5511. Happy Holidays to all IWSA members around the world and our ever expanding network of supporters. The Executive committee and Secretary general wish you all a healthy and prosperous New Year and look forward to both the strategy review at the AGM in February and building on the solid work doen over the last few years. On Wednesday, November 15, late in the morning, the “Norwegian” houses in the southern corner of Douarnenez’s “Place de l’Enfer”(“Hell Square”) became engulfed in a devastating fire, as powerful as it was spectacular. Their storage space and family home, where Diana and Guillaume live with their little girl, were destroyed in this fire. The immense outpouring of support from the whole town of Douarnenez and beyond, has given them the comfort and moral strength necessary to go back “down the mine” to recover traces of their “life before”. 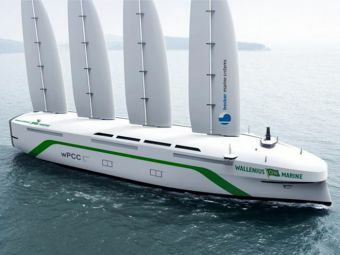 It has especially given them the opportunity to look further in terms of the company, the boats, the routes, the Port-Rhu … and their initiative to shape sail cargo shipping and build a decarbonated future! 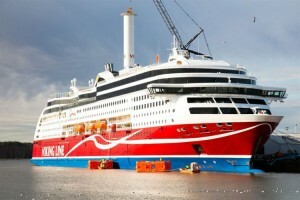 SV Lo Entropy is currently being refitted in Hundestad, Denmark. 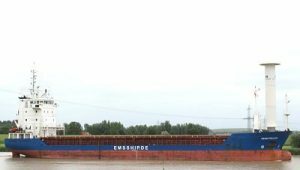 The aim is to upgrade the vessel for colder northern climes, and to carry up to 36 tonnes of cargo along with 4 cabins for a total of 8 passengers and a complement of 3 full time crew. 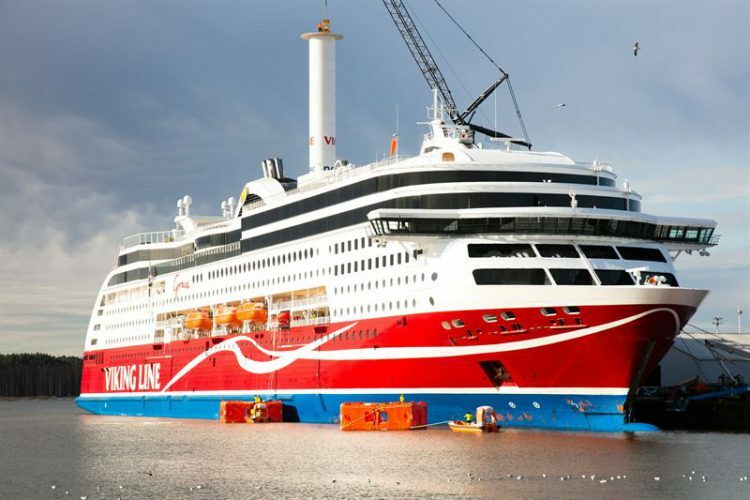 This will allow the vessel to operate throughout the year in the Baltic Sea region/Kattegat and North Sea carrying both freight and passengers simultaneously, as well as the ability to undertake dive and other bespoke charter work when not carrying cargo, with 12 passengers. 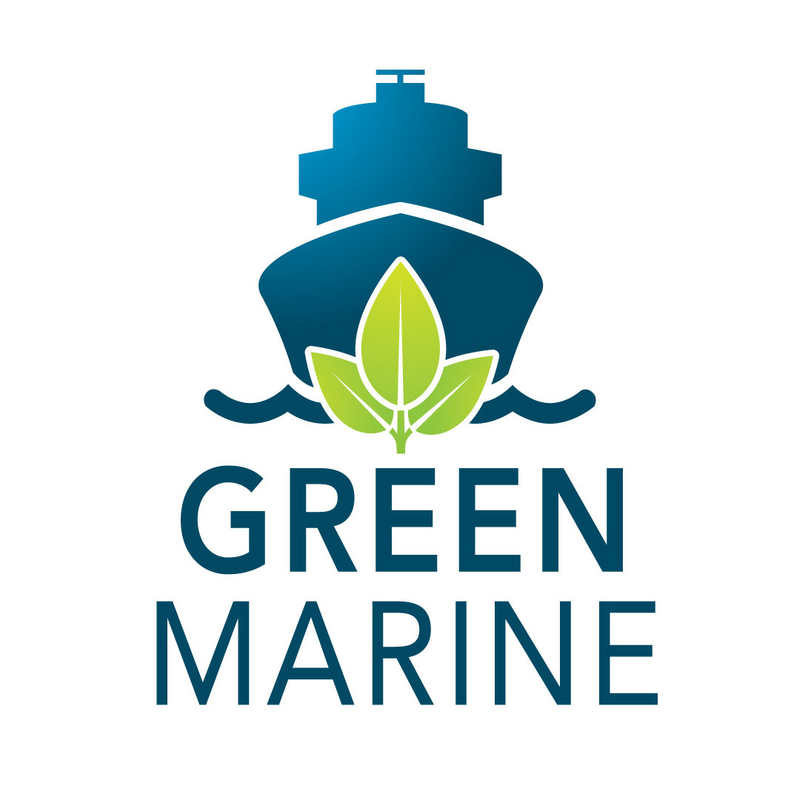 Please check the website and any thoughts or advice on routes, securing cargo or if you would like to get involved with the project, whether as investors, skilled labour or advisors, please contact them. IWSA Secretary delivers one of the keynote addresses focusing both on wind propulsion and also on the deliverables from the Ambition 1.5C event. 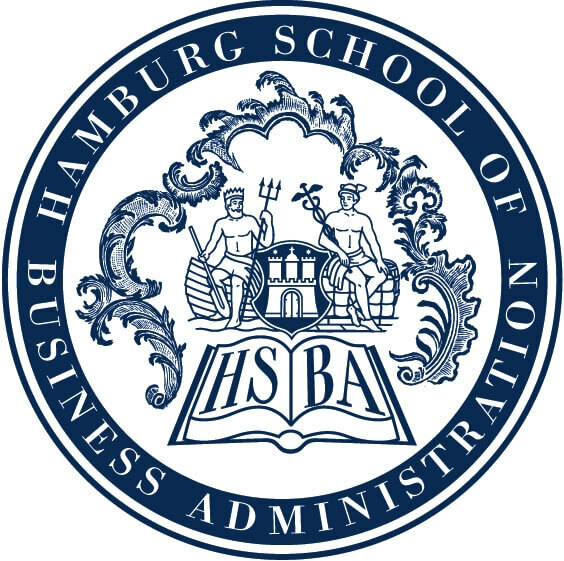 15 Nov – Press Conference – German Federal Ministry for the Environment, Nature Conservation, Building and Nuclear Safety Bldg, 1400-1530 – thank you to BMUB for hosting the press conference and for supporting the Ambition 1.5C event as a whole. 10 Nov – Side Event: inside COP23 ‘Bonn Zone’ 1700-1800, German Pavilion – thank you to the attentive audience that joined us for this event. 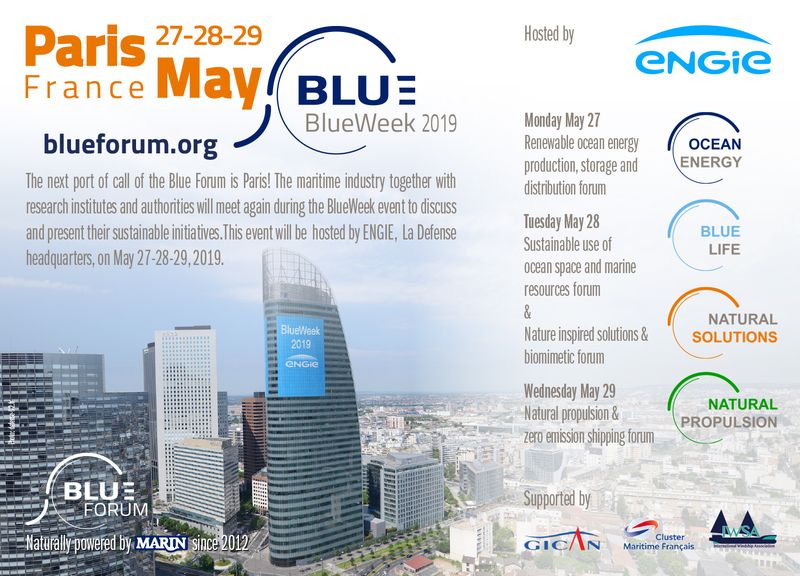 Also a big thank you to Lloyds Register, Sustainable Shipping Initiative, Peaceboat and NABU for participating in the interesting panel discussion. 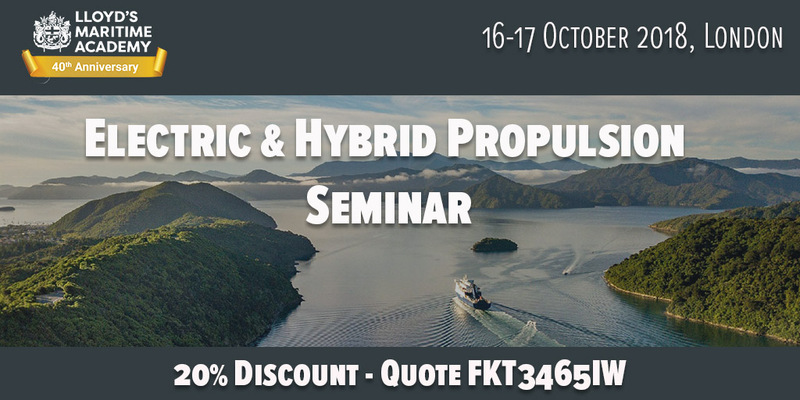 5 presenters on wind propulsion projects and the hybrid systems required by wind assist and wind auxilliary vessels, including an update from IWSA Secretary, Norsepower & Bound4Blue projects. 25 October – Green Investment Finance Forum , OECD, Paris – IWSA Secretary attended these proceedings and very interested to learn about the developments in green finance, while the feeling of many participants was that all finance needs to be ‘green’, strongly moving away from ‘black’ carbon investments – we hope that sentiment continues to grow quickly and that we see much larger scale investment moves into renewable, resilient and ultra low impact investments in the very near future – urgent, ambitous and well crafted progress is needed. 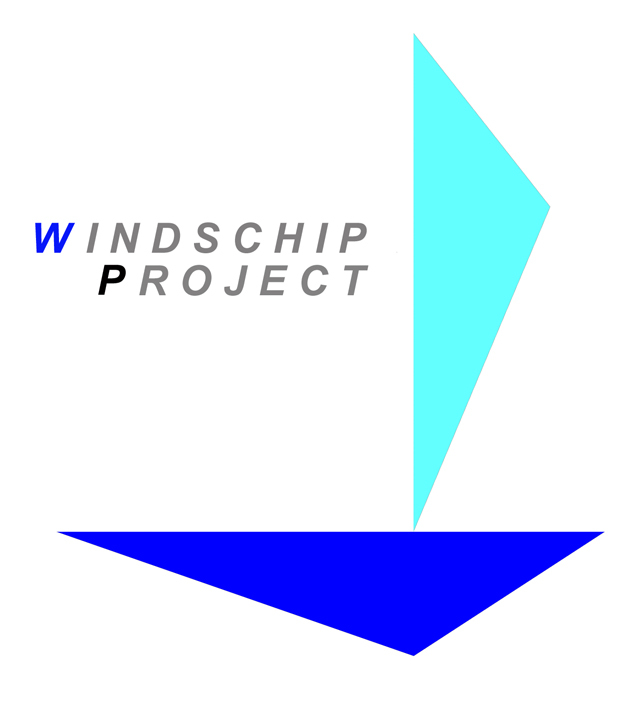 24 October – Nantes, France – Meeting of the French Wind Propulsion Cluster group discussing how to develop the program, finance and projects/collaborations going forward. 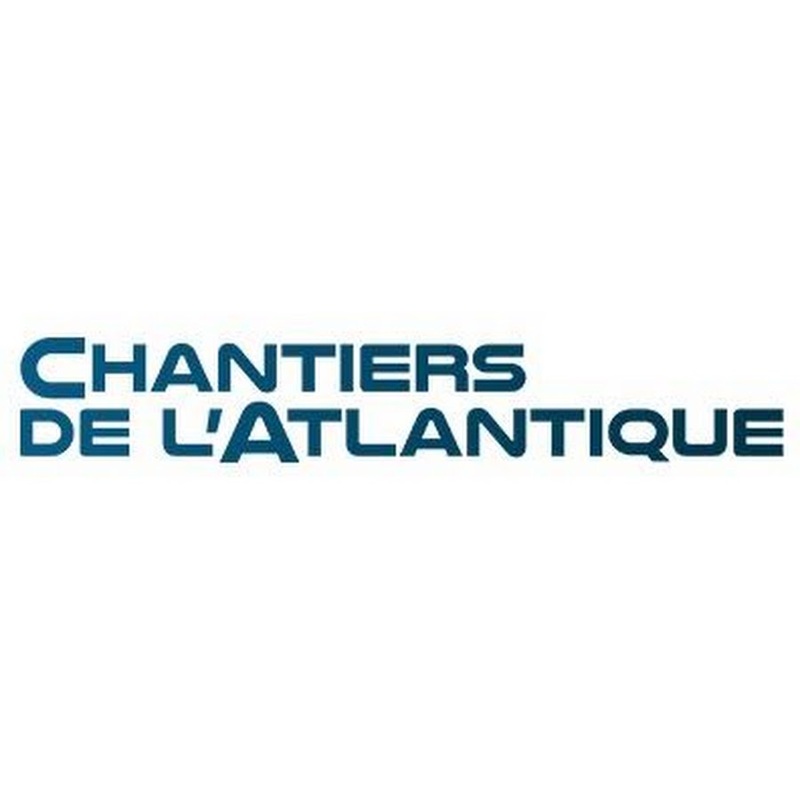 Our colleague, Florent Violain, is coordinating these activities and we look forward to developing stronger ties with the maritime cluster, shipping companies, research institutions and the Nantes and the Pays d’Loire administrations in the future. 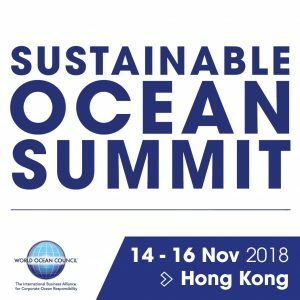 IWSA secretary, Gavin Allwright will moderate one of the panels at this summit. 28 Sept – IWSA secretary presented windship developments, integrated propulsion hybrid systems and the need to look at the sector challenges from a systems approach. 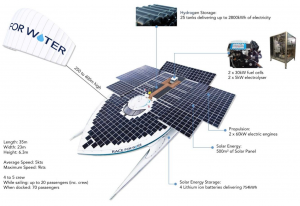 Excellent presentation on the developments in wind energy and direct propulsion kites, solar boat challenges etc. at IDTech Independent Electric Vehicles Conference at TU Delft, Netherlands. 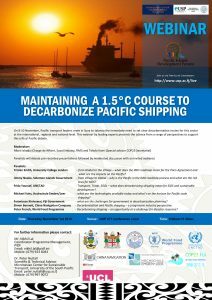 Ambition 1.5oC: Global Shipping’s Action Plan summit at COP23 designated as an Official Climate Partner. 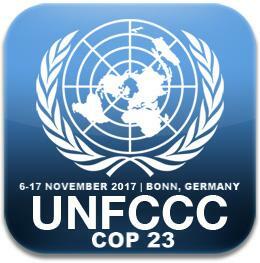 The summit has been officially endorsed by a jury consisting of the UNFCCC partners; the incoming Fijian Presidency of COP23, the German Federal Ministry for the Environment, Nature Conservation, Building and Nuclear Safety and the City of Bonn. 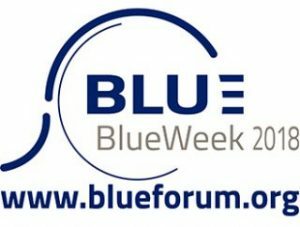 IWSA and the other co-organisers also extend a thank you to the German Federal Ministry for the Environment, Nature Conservation, Building and Nuclear Safety (BMUB) for their continued support in hosting a post summit press conference at their offices in Bonn at 1500-1630 on 15th November. 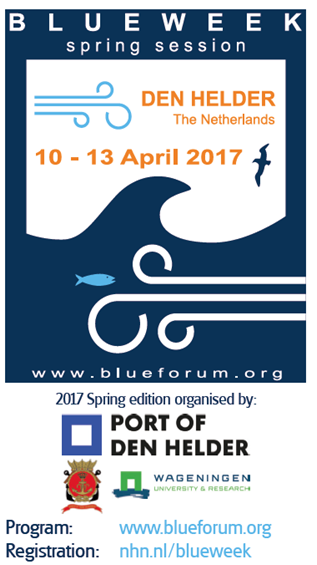 If you would like to attend this press conference please contact me at secretary@wind-ship.org or the event organisers. This event on 13th November in Bonn, will gather 150-200 invited, influential industry representatives and UNFCCC delegates to take action and create an Action Plan for the decarbonisation of the shipping industry. 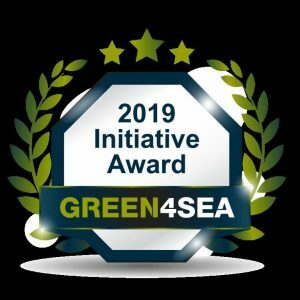 Work undertaken and subsequent strategies developed within the Action Plan will consider and include all active industry environmental work streams and initiatives. 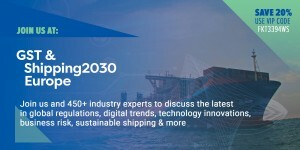 IWSA is proud to be one of the co-organisers and coordinator of this event, along with Danish Shipping, Lloyd’s Register, MARIKO, MAN Diesel Turbo, Green Ship of the Future and RightShip. 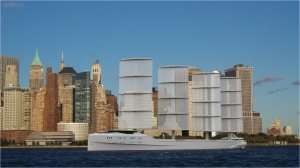 Advisors include Sustainable Shipping Initiative and Carbon War Room. 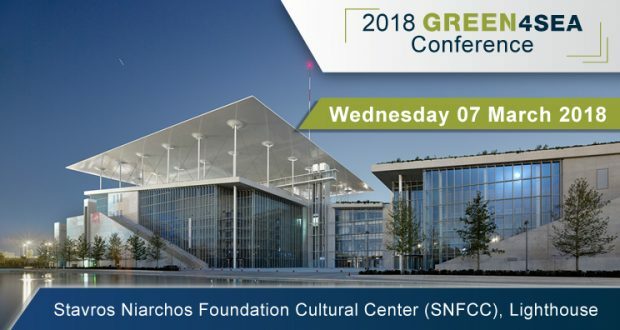 Official Reviewer of the First Order Draft of the Intergovernmental Panel on Climate Change (IPCC) Special Report: Global Warming of 1.5 °C – An important document outlining the critical development challenges facing the world under 1.5 °C. 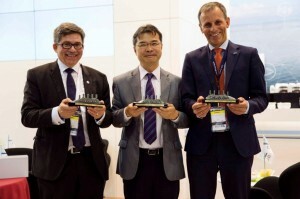 IWSA highlighting the need for an urgent, coordinated approach to the challenges of shipping at both a global and local scale and the swift uptake of low carbon technologies and operational approaches. 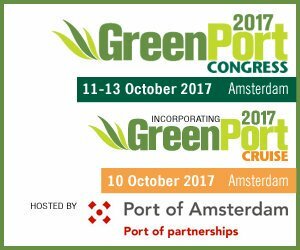 GreenCruise & GreenPorts Congress is in it’s 12th year, and will be held in 10-13 October 2017 in Amsterdam, supported by the Port of Amsterdam, providing decision makers from the port community – port authorities, terminal operators, shipping lines, logistics operators – with a meeting place to both learn about and discuss the latest in sustainable development and environmental practice to enable them to effectively implement the changes needed to reduce their carbon footprint and to be more sensitive to environmental considerations. IWSA is an official supporter and IWSA members are entitled to a 10% discount to attend, they can either book online via the link below, using the code GP memdiscgpc or contact the Events Team on 01329 825335. 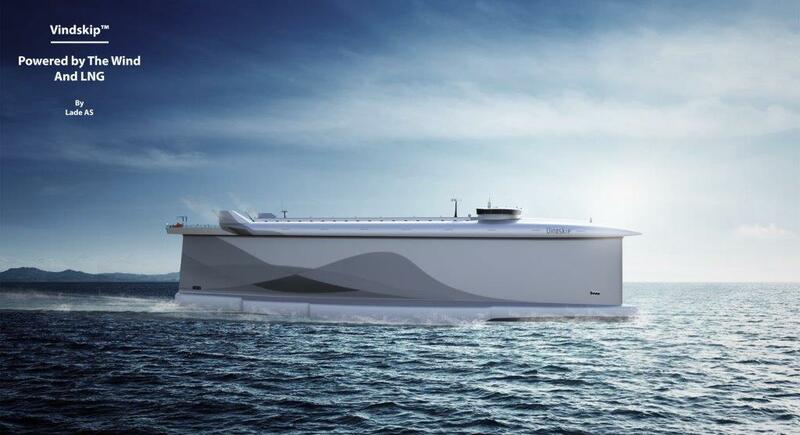 Lloyd’s List Article – What will power shipping in 2050? 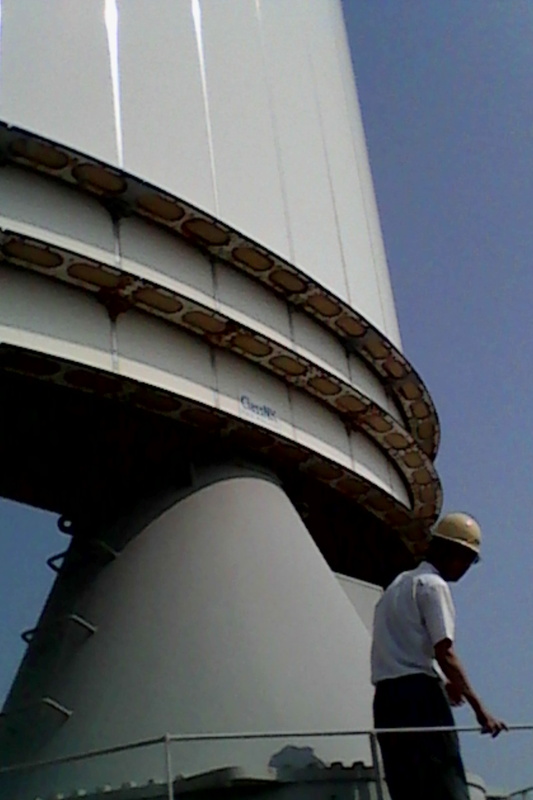 20 July – Visit to Land based Test rig for the UT WindChallenger project – at Iknow engineering, in Sasebo, near Nagasaki, Kyushu, Japan. The 1:2.5 scale test rig has produced solid, reliable and encouraging test data over the past 2 years of operation. 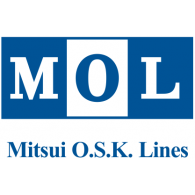 Well located on a hill overlooking the bay, the rig has experienced a wide range of wind and marine conditions, however the team is now eager to move into the next stage of sea trials and the search for the best MOL operated, Oshima shipyard built bulker is underway. 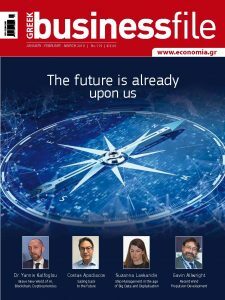 Looking forward to positive news in the second half of the year. 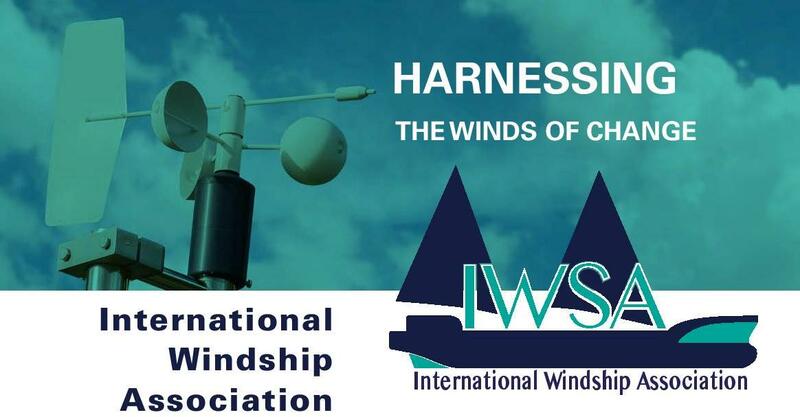 16-17 October, Rotterdam – Venue: Hilton Hotel, Weena 10, 3012 CM Rotterdam, Netherlands Contact IWSA Secretary secretary@wind-ship.org for discount details for IWSA members. 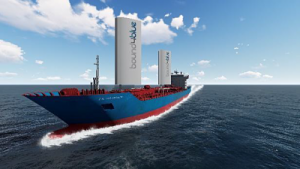 10 July – Meeting at ABTA HQ in London, IWSA secretary presenting wind propulsion developments to Sustainable Cruise group along with new Rotor Sail installation announcements on ferry/cruise vessels by Norsepower and Ecoship – new build – LOI announcement by Peaceboat. 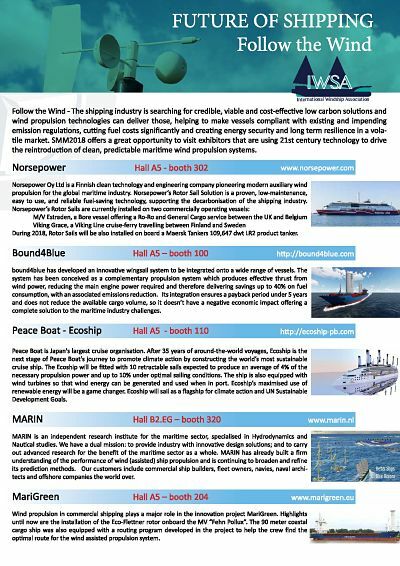 Meet the Norsepower team at Nor-Shipping 2017 (30 May -02 June) and check out the live demo of our award-winning Norsepower Rotor Sail Solution! 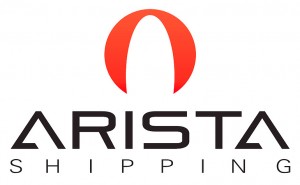 SailCargo Inc. , Costa Rica, a young cargo shipping company is seeking investors – now has a build site in Punta Morales, transport equipment, capital, and committed employees added to its team of experienced project managers. 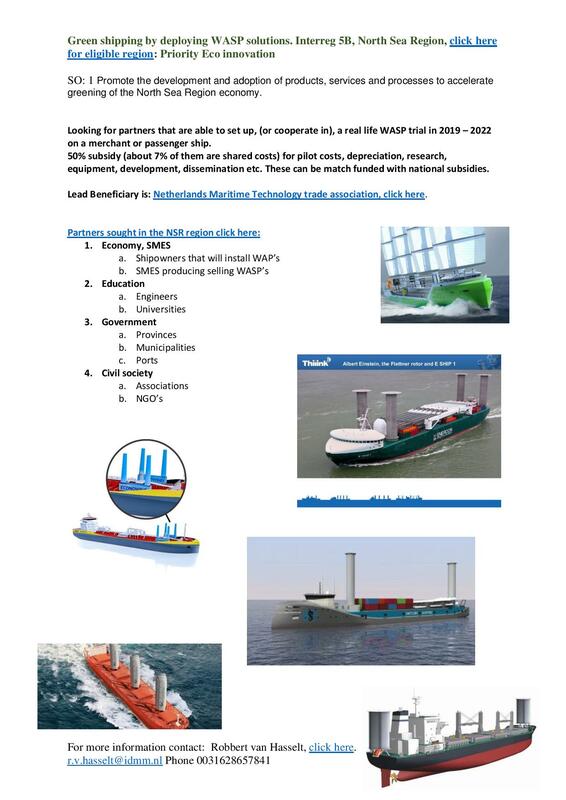 Abstract : The ‘Wind Hybrid Coaster’ was a sub project in MARITIM (2016) under the European INTERREG Deutschland-Nederland programme within which Dutch and German partners from the maritime industry and research institutions were developing a new type of “green” coastal ship equipped with a wind assisted hybrid propulsion system. 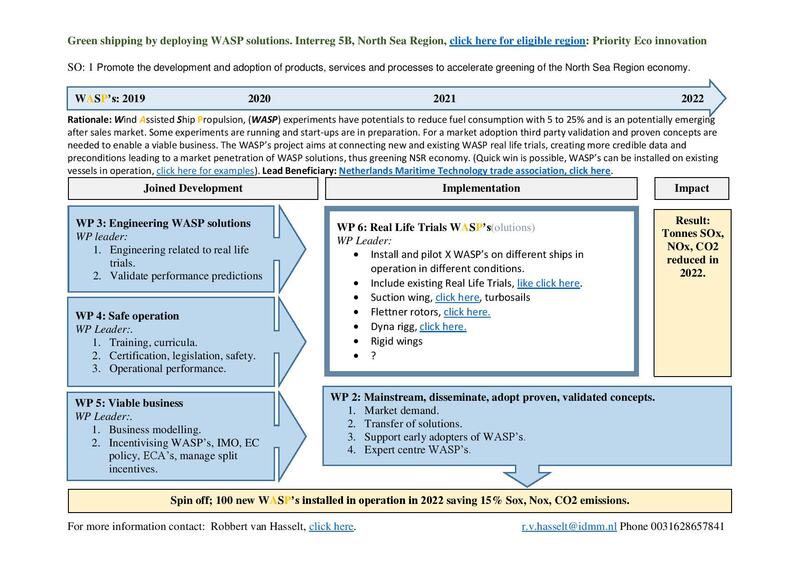 MARIN was asked to predict the performance of the Wind Hybrid Coaster in a realistic operational scenario. 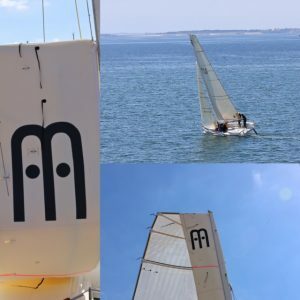 For this purpose MARIN conducted a large number of hydrodynamic model tests, powering predictions in calm water including wind assistance and finally voyage simulations for multiple routes including voyage optimisation. 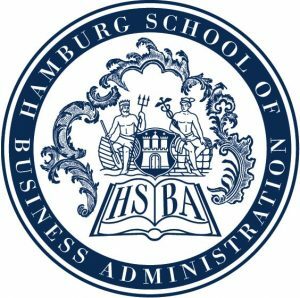 New IWSA Members – Welcome Aboard! Norshipping 2017: Young Enterpeneur of the Year goes to….Tuomas Riski, CEO of Norsepower, developer of Norsepower Rotor Sails. Congratulations Tuomas and we look forward to many more young wind propulsion entrepeneurs winning the prestigous award in the coming years. 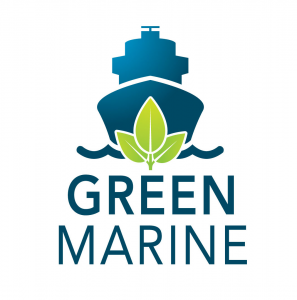 Linneaus University/Maritime Academy, Kalmar, Sweden Greening Maritime Transport – lecture and seminar – EU Vasco de Gama program. 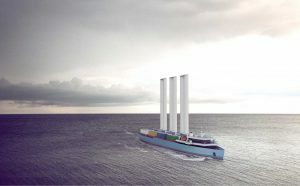 Discussing Sustainable Shipping and Wind Propulsion Technology, innovation and uptake in particular. 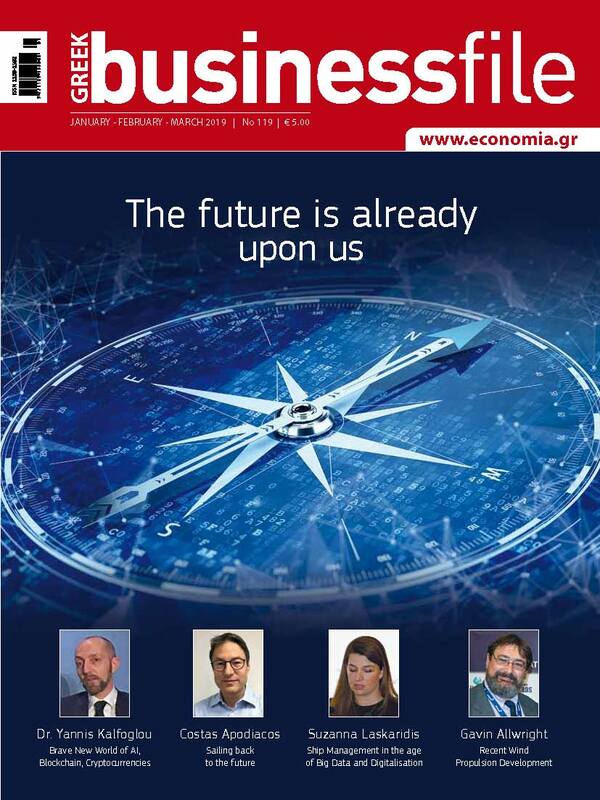 Focused on where the technology and the industry are going in the coming decade. 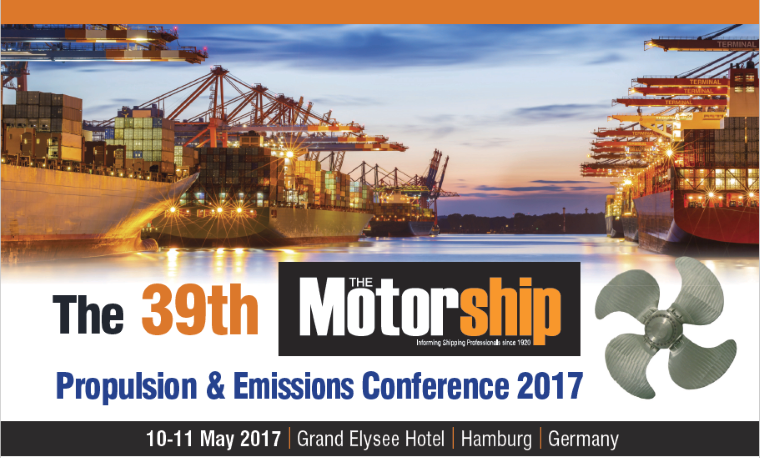 The challenges & interactions that the wind shipping industry faces when dealing with the industry, regulators, ports, transport consumers etc. 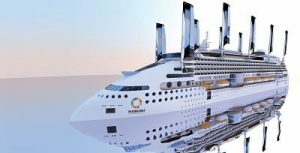 The goals of the IWSA and the steps that need to be taken to reach a more sustainable future in commercial shipping. 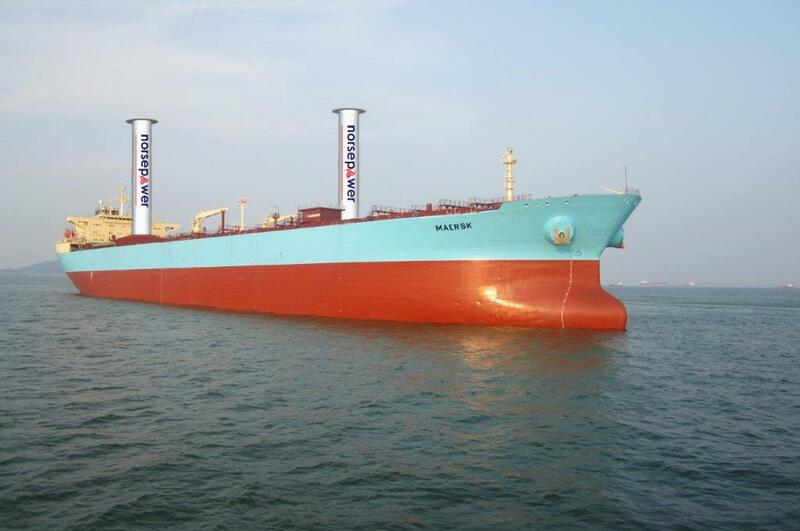 Norsepower announced a collaboration project with Royal Dutch Shell, Maersk Tankers and ETI to test two of their 30m rotor sails on a 109,000dwt Tanker. 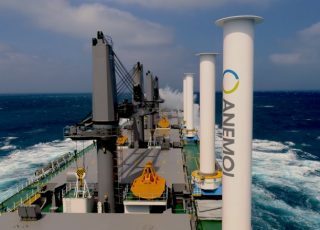 The rotor sails are due to be installed in the first half of 2018 and tested until the end of 2019. IWSA will continue it work to facilitate and help to secure funding to assist with this scaling up of the sector in 2017-18, applying many of these recommendations to our EU activities and informing our programs worldwide. 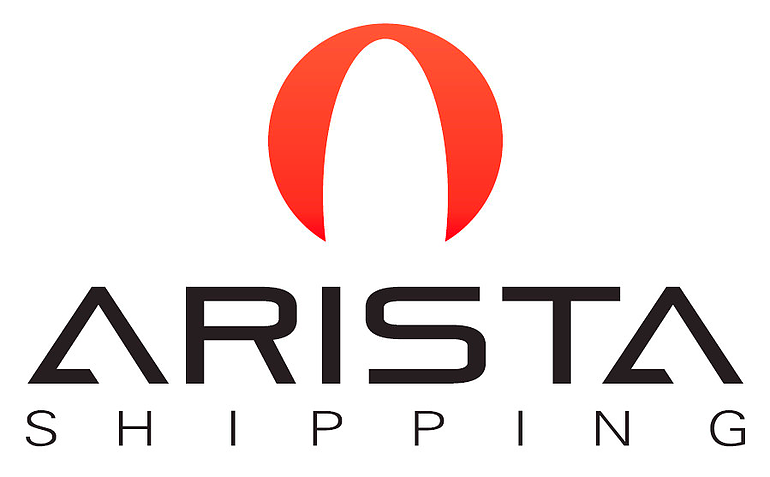 We look forward to sharing further developments with you in the near future.